I’m curious. I’ve heard these stories before about the lights from the temple guiding pilots in the night so that they can properly align themselves for landing at a nearby airport. When the lights aren’t there, the pilots complain and the air traffic control calls the temple wondering why the lights are out. The latest I heard today was about the Los Angeles temple, and about how one night there was a power failure such that the angel Moroni wasn’t lit. The temple received a call from the LAX airport tower control asking why the light was out. They were told that pilots use the light and Moroni as a beacon to guide them in their landing. The temple workers climbed to the top of the temple and lit the angel with a generator. 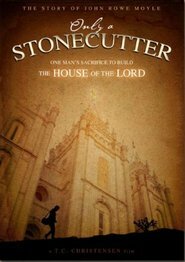 I’ve heard this story told now about three different temples – the Las Vegas, the Los Angeles, and the Oakland temple. Each time the details are slightly different, but the substance is the same. In some of the versions it is the entire temple which is unlit; in some it is just the angel Moroni. I was wondering if anyone knows where this story came from, and if any of these are true. I did some quick searches on LDS.org, but didn’t find anything.